When you work for a company, especially a big one, or you are in a senior position at a company it's very easy and almost certain that you feel that the company would be doing worse if not for your valuable contribution. That you add significantly to the company's revenue. You will often look at someone else running his own business (lets take an independent consultant for this comparison) and not see anything special in what he's doing. 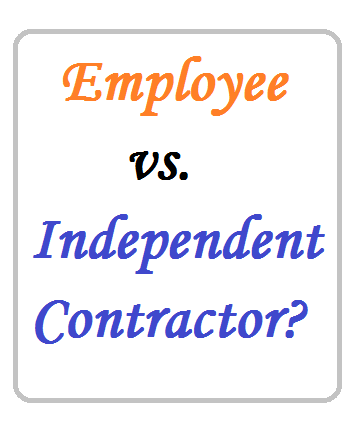 And that is the bedrock of the main differences between an employee and an independent consultant. I am now an independent consultant to three companies. But it doesn't look as good as it sounds. And that brings me to the main difference number 1. It is the things that do not matter to your getting the job done that matters most when you are an independent consultant. Like how to fix your price and which jobs to turn down. They have been my biggest problems. While I was an employee, two of the three companies I worked for had a fixed salary scale. There was a range, a quite narrow one, that ensured that no matter how low your stated expected salary was during interview you were not going to get lower than what was in that scale and no matter how high your stated expected salary was the company wouldn't go beyond the upper bound of that scale for your job role. But in the consulting world there is no scale. You would have begun a project only to realize that someone else had done a similar project for the company for about 10x the fees you are charging. Your value has little to do with your valuable work; it has the most to with your negotiation skills. Secondly, as an independent consultant you will need to earn about twice the salary of an employee to have the same money. I pay my company tax, personal tax and VAT. I pay for my accounting and auditing. I pay for business rent (I was lucky to find a pay-as-you use office). I buy everything I use for my work. I pay for internet and business phone calls. I pay for my own training. I pay for everything an employee gets for free. I don't get a paid leave. And biggest of all, I only get paid for the work I do and not for sticking around. Once the work is done, no more pay. So I have to factor in the time gap between end of one work and the getting of another, and ensure I get it covered in my fees. I am obviously doing more high value work that I was as an employee. I meet with the key decision makers at my client companies: CEO, CTO and senior managers. But I only get paid what I put in the proposal when I was trying to get their attention. Thirdly, doing favours will kill you if you are an independent consultant. While I was an employee what got me a preferential treatment from my bosses was my never turning down a work request. I was always doing my colleagues in other department a favour. I got some favours paid back but most importantly it never adversely affected my salary. Now as an independent consultant, doing favours is almost killing me financially and health-wise. I am now learning to say no to people, to low paying jobs and to clients I sense will give me too much trouble. It's one of the main reason I am not wanting to provide service for individual clients anymore. They always ask for more than was agreed compared to corporate clients. Lastly, your work experience, age and car do not matter. I have a car; I rarely drive it to client's place. I have chosen a field that requires a lot of technical competence and practical experience. On the few occasions that I have had to compete with other people for the same job I got the job despite charging the highest fee and being the youngest. If you are competent, people will know and value you as such. It's when you doubt your competence that you try to make up for it by promoting the not value creating part of you. I state my fee and stick to it. But as an employee, your work experience, age and the type of car you drive can impact your work and career progress. For me, as an independent consultant, I have decided to make my comparative advantage be the almost impossible work I do for clients and the quality assurance they'll get. And I have very few competitors. I just need to get my pricing right and marketing right.